With the wide array of roofing options out there, how can you pick the right material that fits your home? You need to consider many factors before making the big decision. These include durability, weather performance and service life. 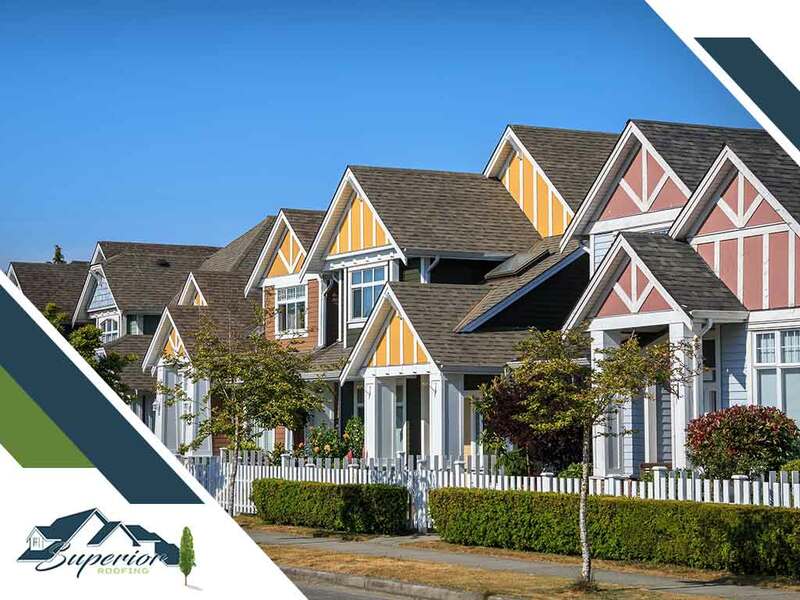 To help you make the right choice, Superior Roofing, a roofing company in the area, discusses the main features of four roofing materials. Asphalt shingles are one of the most popular roofing materials for residential properties. They are preferred by many homeowners because they are more affordable than other roofing materials. This type of roofing, however, can last up to 30 years with proper maintenance. Asphalt shingle roofs also come in a variety of styles and colors, and are easy to install. Many people believe that metal roofs are exclusive to commercial buildings, but that is no longer the truth. Metal roofs can now be installed on residential properties. They offer a unique, industrial look that’s perfect for modern homes. They can also last up to 40 to 50 years when maintained. A roof repair contractor may also suggest tile roofing if you are looking for a long-term solution. This type of roof can last 50 to 70 years depending on the quality. It can also help insulate your home and reduce your energy expenses. Composite roofing consists of different materials that are mixed to form hybrid-type shingles, which can last for up 20 years. They often contain fiberglass, recycled paper, plastics and asphalt. Turn to Superior Roofing, a reliable roofer in the area, for your roofing installation needs. We offer a range of roofing materials that suit both traditional and contemporary homes. Call us today at (706) 322-9032 if you are in Columbus, at (334) 821-8411 if you are in Auburn and at (334) 298-5253 if you are in Phenix City. You may also fill out our online form for a free quote. We serve residents of Columbus, GA, and Auburn, AL.